Location: 1 East 104th Street, Room 236 (Museo del Barrio building). Please bring your ID so you can get through security. 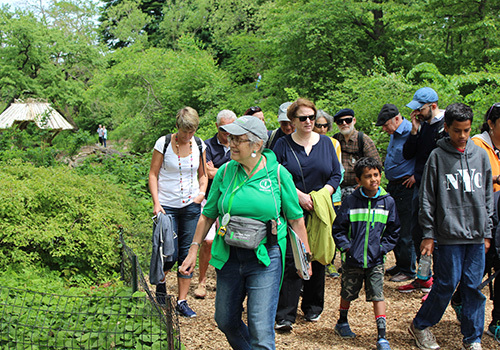 Learn about what it takes to become an Official Central Park Tour Guide at one of our Volunteer Tour Guide Info Sessions. Conservancy staff members will provide information and answer questions. You must attend this info session to be considered for selection. After the Info Session, you'll have everything you need to decide if you’re ready to join the team, and you’ll be invited to sign up for an audition/interview. If you have a question about this or any other Central Park Conservancy Volunteer Program, please write us at volunteer@centralparknyc.org or call the Volunteer Hotline at 212.360.2751.